This is a must stay property. 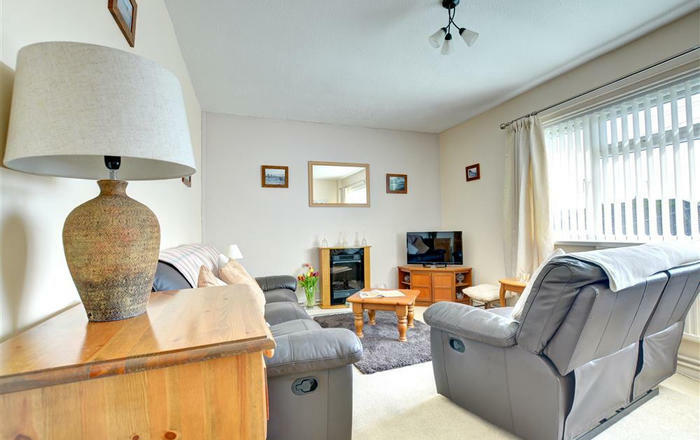 On first appearance this 3 bedroomed bungalow tucked away in a hidden corner of Ambleside, with its newly renovated and landscaped gardens, is pleasing on the eye. 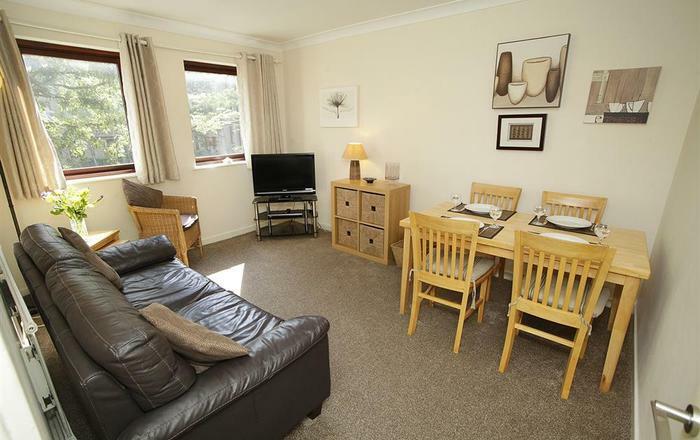 An ideal location, only a 5 minute walk down hill into the centre of town and has private parking. Once you step into Brackenber, your immediate reaction is to take in the extent of the renovation and the particular attention to detail. A window posing as a Lakeland landscape painting welcomes you into a stylish, modern, comfortable home. 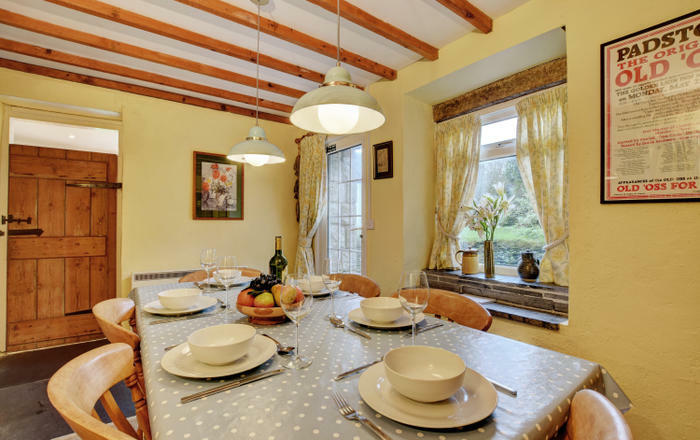 Ideal for couples or families this open spacious property holds the key to a good Lake District holiday. 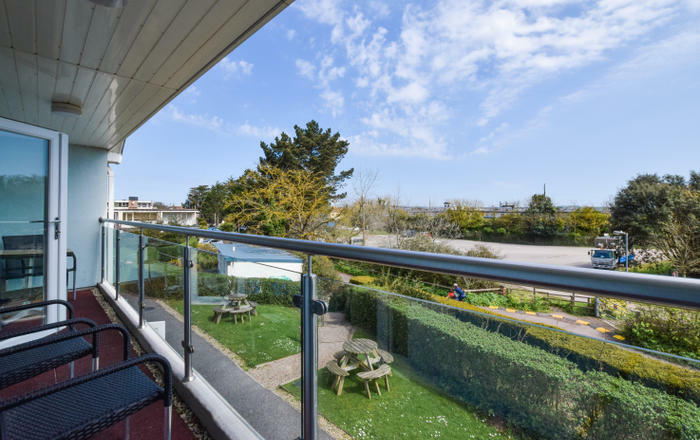 The decked balcony stretches the full length of the back of the property, wrapping around each side giving you one of possibly the best panoramic views in Ambleside. 'Loughrigg' and the 'Fairfield Horse shoe' appear within arm's length, close enough to touch. 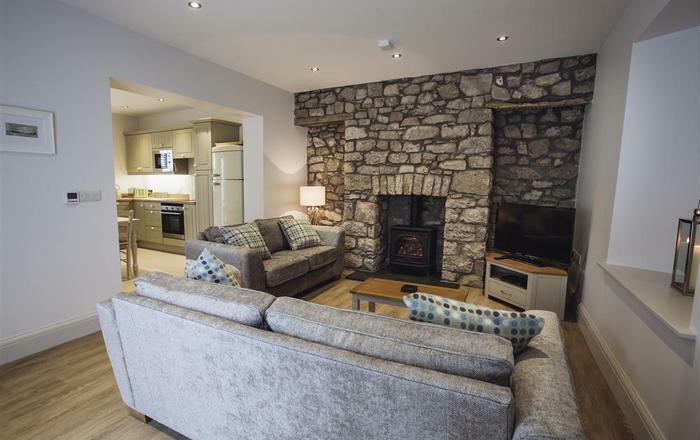 The attention to detail in Brackenber is second to none, from the comfortable stylish bedrooms to the integrated kitchen and a wonderful array of framed local photographs all add to the welcoming ambience of this simply stylish holiday home. Accommodation: The front door is reached down a sloped path along a paved area. The Inner entrance hall has a laundry room to your right to hang your outdoor gear and leave your boots. 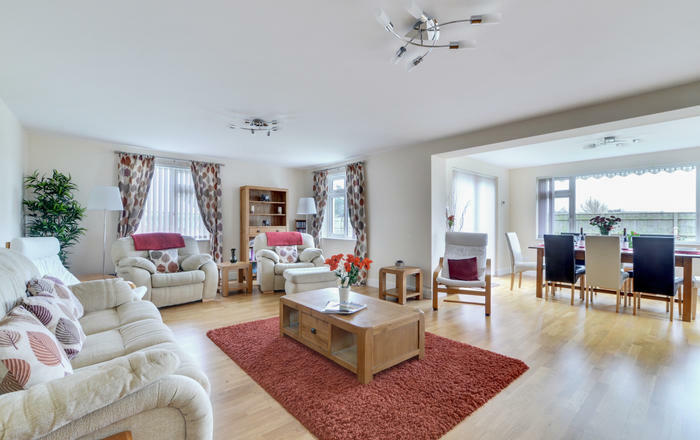 Open plan style living/dining area ( flat screen TV, DVD, Freesat and hard drive, wireless broadband access). Large sliding doors on to the balcony from both lounge and open dining area. The kitchen is to the rear, sociably integrated into the main living area so that you can chat whilst meals are being prepared. The lower patio area is accessed from the balcony via 7 steps from the left or a slope from the right. The patio does have a 4ft open drop onto the lower garden. 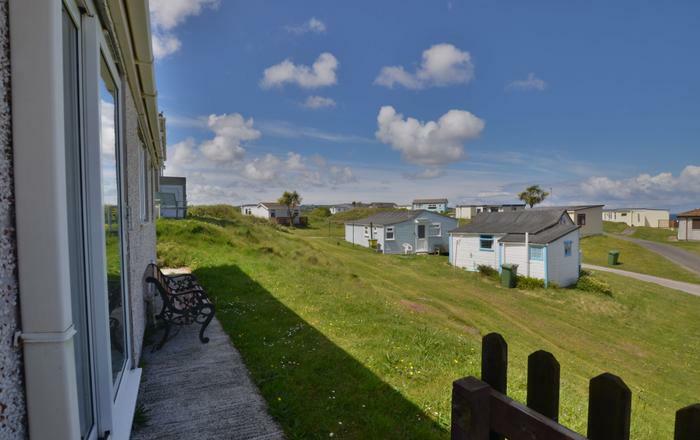 All on the ground floor, from the hallway you are led down the hall to a twin (TV) and a king bedroom (TV) with a large family bathroom with wc, basin, walk-in shower and large bath, heated towel rail. A further master king bedroom with en-suite, wc, shower and basin. (TV) is en-suite with shower, basin and wc. Furnishings are stylish and comfortable with a welcoming, comfortable feel. Gas central heating and hot water keep you cosy and warm in any season. Outside: A spacious, furnished private decking to the rear of the house - nicely sheltered and positioned to catch the late afternoon and evening sun, this will be a lovely place to relax with your glass of wine whilst planning your next busy day while taking in the glorious panoramic views of Ambleside and the encompassing fells. Private car parking for 3 cars at the front of the property. Ambleside village centre approx 5 mins walk downhill. Note: Telephone for incoming calls only.